Pavement with streetlamp in foreground. 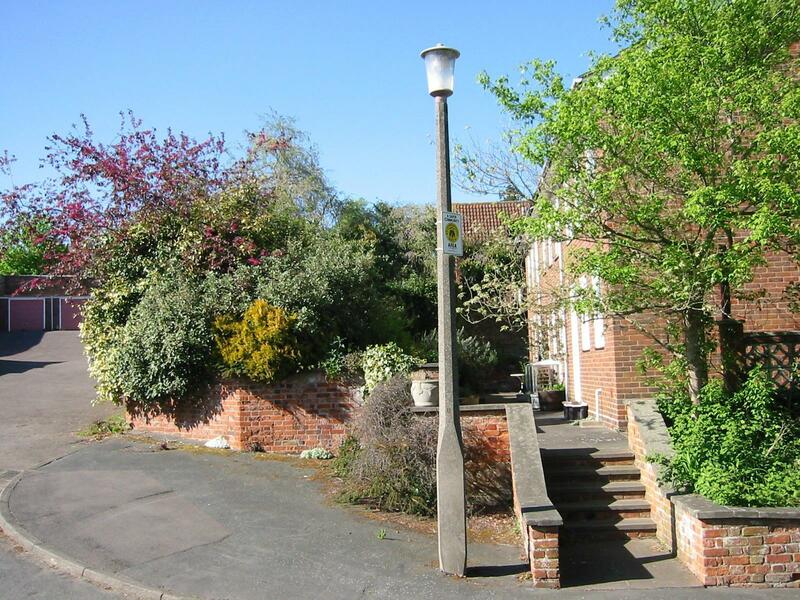 Steps between low brick walls lead to path along the front of houses. Garage block on left behind shrubbery. Houses on right behind small tree. Neighbourhood Watch sign on streetlamp.